Karim was born in Merseburg, East Germany, in 1979 to a German mother and a Bangladeshi father. He crossed the inner German border with his family in the early 1980s, growing up in Neuss, West Germany. [note 1] Karim moved with his family to Saint Paul, Minnesota, in 1992. 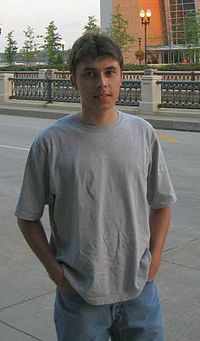 He graduated from Saint Paul Central High School and later attended the University of Illinois at Urbana-Champaign Department of Computer Science. He left campus prior to graduating to become an early employee at PayPal, but continued his coursework, earning his bachelor's degree in computer science. He subsequently earned a master's degree in computer science from Stanford University. 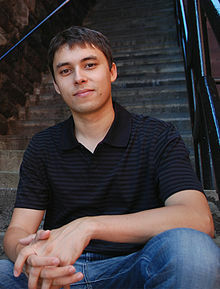 This page is based on the Wikipedia article Jawed Karim; it is used under the Creative Commons Attribution-ShareAlike 3.0 Unported License (CC-BY-SA). You may redistribute it, verbatim or modified, providing that you comply with the terms of the CC-BY-SA.